Mary Knots: Garden Wedding is rated 2.5 out of 5 by 24. 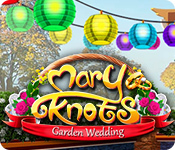 Rated 5 out of 5 by mendillovictoria from Mary Knots Garden Wedding I been waiting for this kind of hidden object for awhile .Please bring us more old school games, I like you made alittle harder to find objects. Thank You!!! Rated 4 out of 5 by monkeygirlinri from Traditional, but fun because of that Overall a very traditional game, but fun and easy to play. Rated 4 out of 5 by mickie13 from Can't find any Origami Stamp Cards???? The game is fun, easy. Nice to play a bright game with no ghouls. Good for a rainy day, just relaxing. My only problem was too, way too, much dialogue. And the fact that you're never told what the origami stamp card looks like so I can find any. If anyone can give me help on this, it would be appreciated. 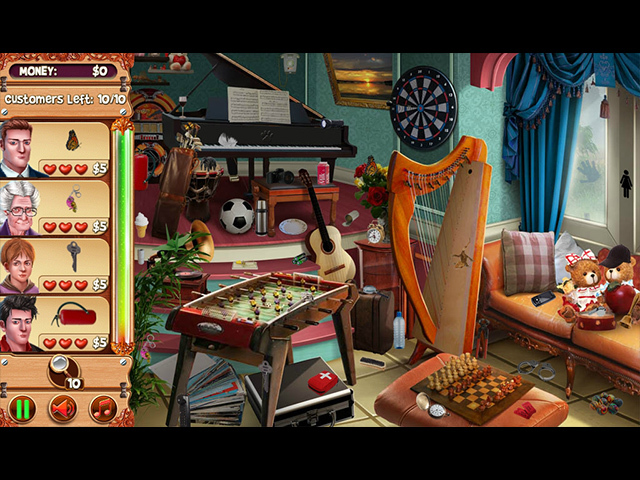 Rated 4 out of 5 by debnaomi from Old school hidden object game I love the old school hidden object games. This game makes me laugh at some of the objects you collect, and that is one of the things I like. Relaxing game, no violence. blood, or romance. Please keep these games coming. Rated 3 out of 5 by michrose from Impossible To Beat It is a good hidden object game. However I have played 1,000 levels now and have not even gotten close to some achievements. It is not a challenge if it is impossible. 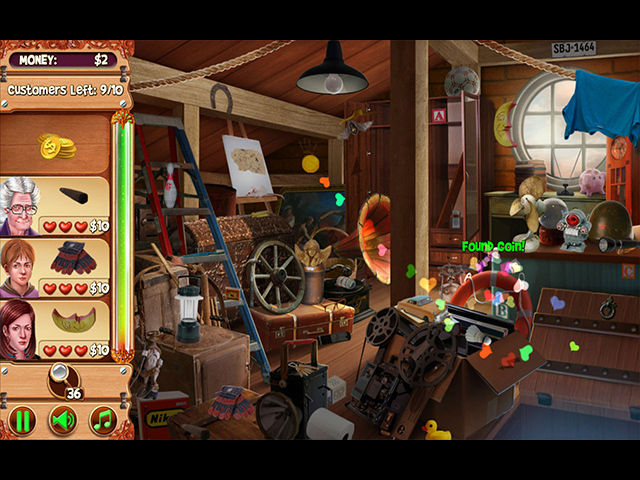 If you don't care about achievements it is an old school hidden object game that is fun. Wish they had a forum for this game. 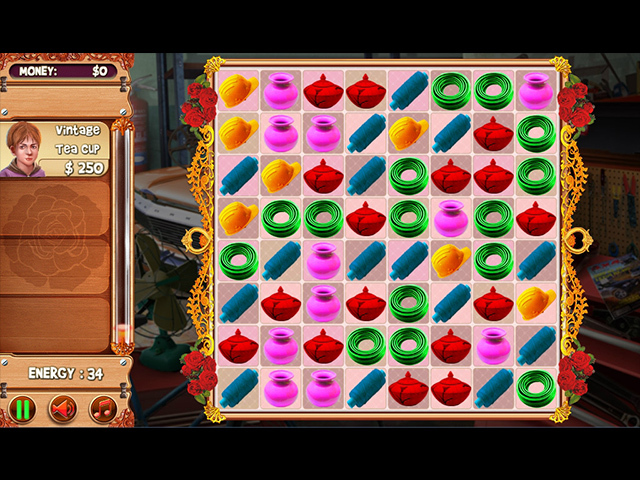 Rated 3 out of 5 by joybelle_1 from Just ok old style game This game is a few years old. Its standard point and click gameplay. Its ok and that's about it. Not thrilled with it, but don't hate it Its a 'no buy' for me. Rated 3 out of 5 by peaerlnogami from I Really Wanted to Like it. I have always loved the jumble sale games. I was excited when I saw this & I downloaded the 60 min. preview quickly. I started to get annoyed at the hostess from the beginning. If I could've turned her off I probably would've purchased the game. The scenes & things you could build were not fun like the other jumble games I own. Rated 2 out of 5 by iou001 from I'm getting a divorce I'm getting a divorce from this game. The objects are so small and misplaced. I like that you get to build things. They should make games of that genre. And you have to click on and this and this just to end the game. I haven't even got to the halfway mark of finishing the game. It will be one of the ones that sits in my game manager until I'm done playing everything else I have.